A ‘Digital Village’ in Haryana gets by on cash and credit under the watchful eye of a non-functional wi-fi tower. JHATTIPUR, HARYANA: As you step into Jhattipur, some 90 km from the national capital along the GT Karnal highway, old posters and billboards greet you: ‘Digital Village of Haryana’. In the weeks after demonetization was unleashed on the country, the villager of 1050 households was certified as the first cashless village in Haryana, an example to the rest of the country. Sarpanch Rajinder Singh agreed that Jhattipur really had no claim to being a Digital Village. “We told the banks to arrange PoS machines, but that’s still pending,” he said. The village does have a wi-fi tower, installed a year ago. However, it is not in a working condition right now. “It’s just to show off,” said the sarpanch. Under the aegis of the tower, school children of Jhattipur were to have access to a wi-fi connection on a rotation basis: One hour of access per student daily. Alas. 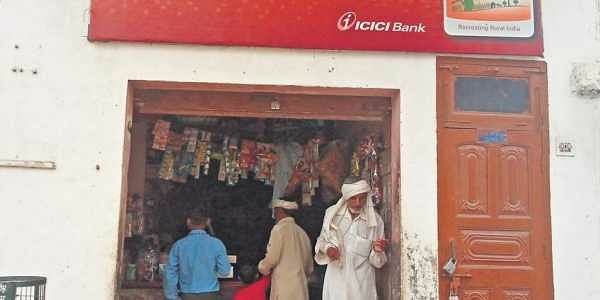 The village of 6500 people has two banks, one an ICICI Bank and the other Sarva Haryana Grameen Bank. In the months after the Big D last year, bank officials encouraged people to open zero balance accounts and today almost every household has one. “But they don’t know how to operate net banking or mobile banking,” said Rajinder Singh. Many villagers of Jhattipur landowners are reasonably prosperous. The literacy rate is 80 percent and their children go to schools — “good private schools” — in Panipat. “We want them to be educated. We were happy when the village was declared digital, but nothing happened since,” said a villager, Sonelal.